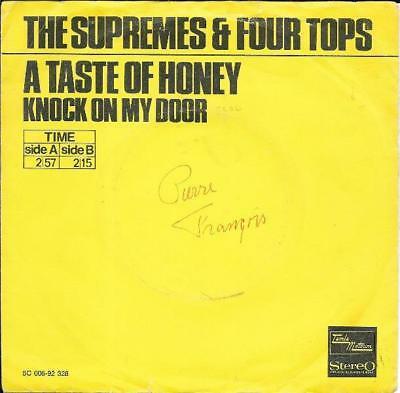 Supremes & Four Tops 45 A taste of honey/Knock on my door. Record is excellent. Clean labels with center. Sleeve has a small tear in top, some bottomsplit and a name on cover. Look at my other auctions for more rare 45s all starting with GBP 2.40 or GBP 5.00. This week more beat 45s. I will always combine shipping.